The post LOOK: This Dude did the ‘One-Punch Man’ workout for a month and here’s the result appeared first on When In Manila. Summer is around the corner so a lot of people are doing the best they can to get their bodies summer-ready ASAP. 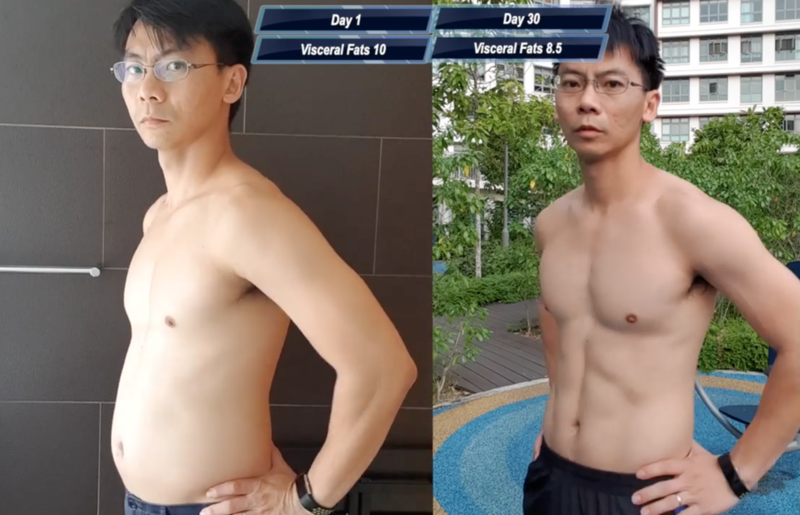 One amazing transformation was when this Singaporean dude named Sean Seah did the One-Punch Man workout for a month. He shared his journey by posting a video on Facebook. Before he did the workout, this was how Sean looked. Apparently, this was a product of three months of binge-eating without exercise. He weighed 70 kgs back then. He began doing the One-Punch Man workout on February 10. If you’ve seen One-Punch Man, you probably have an idea already of what the workout entails. For those who haven’t seen the anime, the routine included 100 push-ups, 100 sit-ups, 100 squats, and a 10-km run every day for a month. However, Sean revealed that he started the journey at level 5, which means he did 50 push-ups, 50 sit-ups, 50 squats, and a 5-km run every day for a month. After a week of doing the workout, he was happy to report a weight loss of 2.8 kgs. When he felt he was no longer making progress with level 5, he decided to increase it to level 7. 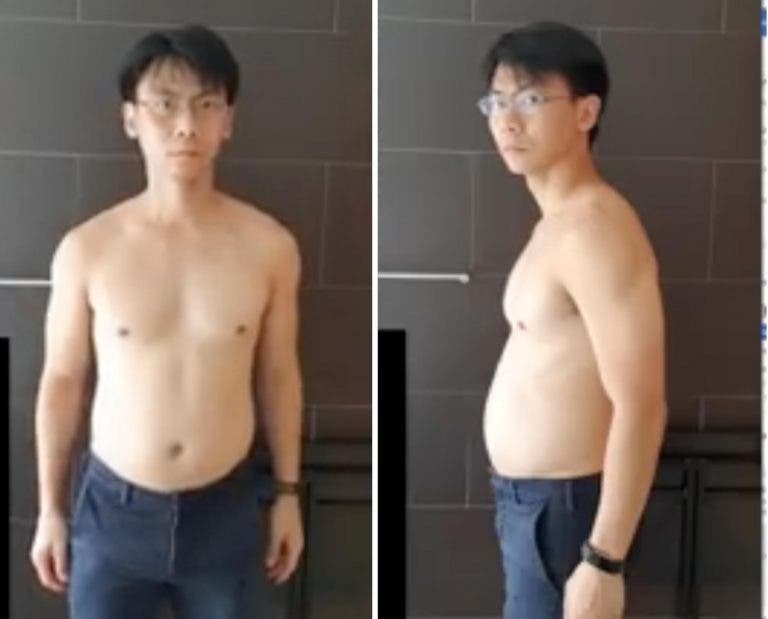 In this level, he did 70 push-ups, 70 sit-ups, 70 squats, and a 7-km run every day for a month. On day 23, Sean decided to bring it to max level at level 10. Here’s the side-by-side comparison of Sean before doing the routine and a month after. Sean also made it clear that he didn’t have a special diet for this weight loss journey but he kept eating fried food, sugar, and carbs at a minimum. He also cut down on having snacks. After this journey, he recommended that those who want to try it should start at level 3 and simply progress from there. What do you think of Sean’s transformation? Will you try the One-Punch Man workout?